Christmas is coming and we are getting EXCITED! So are the kids…right? It can be a bit challenging to keep them engaged and persuaded as youthful scientists during this festive season. However, there are some astounding, engaging engineering activities that can accentuate their joy. 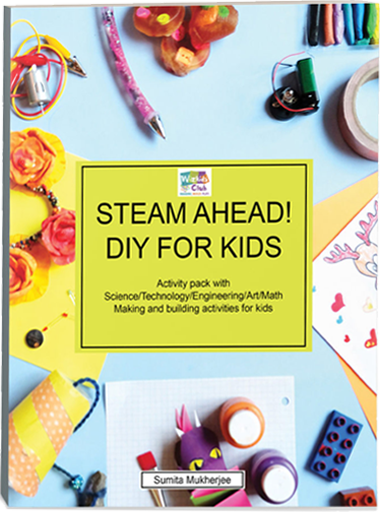 Here are some mind-blowing science, tech, math and engineering activities to keep the young ones occupied in STEM and STEAM. 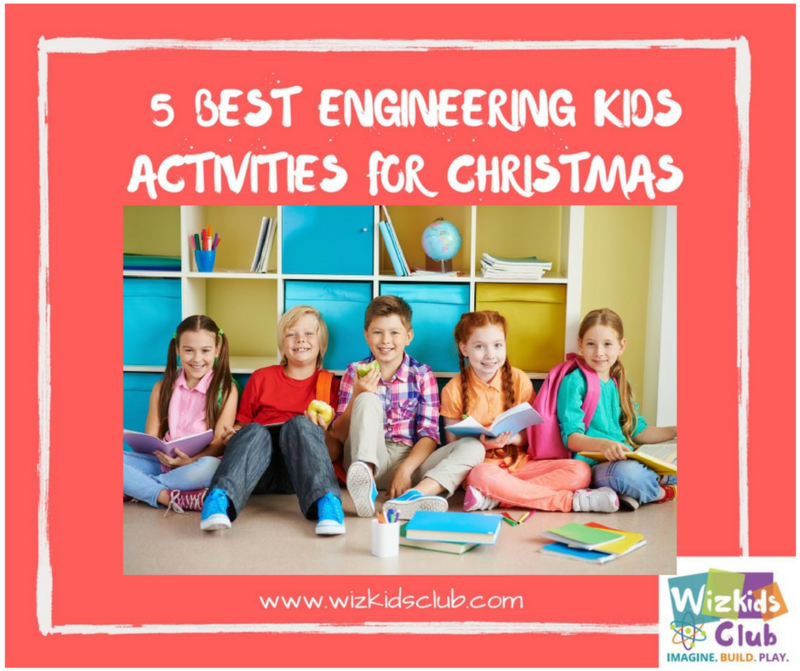 From paper circuits, motors to building switches; these engineering activities are an awesome way to educate and entertain them. Your kid will be excited to make this super hero LED mask. It’s very simple and easy to follow. All you need to do is wear your thinking hat and let the creative juices flow! 1) Cut out the mask template and design it. We made a wonder woman mask. Draw stars and color the stars yellow and red if you want to make the wonder woman mask. 2) Now take coin cell battery and LED. When the positive lead of the LED touches the positive lend of the coin battery, it glows. The circuit is complete and the LED lights up. 3) Now secure the connection with tape. 4) Then take the LED and stick it to the back of the mask using tape. 5) Finally attach an elastic band on both ends of the mask and your wonder women mask is ready! Some simple but entertaining ways to amaze your kids: LED Christmas ornaments. How about color and LIGHT IT UP? Sounds fun… eh? This engineering design is going to be epic. Here some items that you are required for this ornament. – 2 Coin cell batteries. Cut out the mask templates. I have Santa and Rudolph from the wizkidsclub STEAM KITs. I made 2 holes for the LED to go in. Now take the LED and coin battery. When the long leg, which is the positive lead of the LED, touches the positive side of the battery. IT GLOWS!!! The circuit is complete. Secure the connection with tape. Now take the LED and poke it in. Would not it be amazing if you can make a card that has light in it and you can turn it on and off with a tap of your finger? Best part is, you can make it at home! You just need few things and follow my lead. – Stickers …which are optional. Materials are available on wizkidsclub.com or you could buy the kit now! Cut out the card template. Peel the copper tape and carefully stick it on the brown thick lines. Completely stick the copper tape on the brown lines as shown. Press down the copper tape to make it smooth. Take the LED and poke it through the paper. Gently bend the legs and place them where indicated. Use copper tape to secure the connection. Fold the card. Now take the coin cell battery. The positive end of battery should face up. Use tape to stick the battery on the card. Ensure the area where the copper tape touches the battery is clear. When you fold the card, the circuit is complete and the LED lights up. Have fun putting your stickers. I choose a funny robot with light. Stick the “PRESS HERE” sticker in the right place. Use any colour of your choice to make it super attractive and fun! Your glowing card is ready and here is you go with another engineering activity. If you want to build a house with led in it then you are going to be able to do this after this complete guided article. First of all these below mentioned items should be acquired to build your Led house. Now build the circuit by attaching the cell to the Led and if it starts glowing, your circuit is complete. Secure the connection with tape so that LED keep on glowing. 3) Color the printed model of the house according to your desired color scheme. Make it awesome looking. Then use scissors to cut out the house. 4) Now fold the sides along the dotted lines. Use glue to attach the sides and be sure that the bottom should be left open as you are going to insert Led from the bottom. 5) Finally attach the Glowing LED at the bottom with the help of the tape. Fold the bottom flap and apply glue. Hurrah! Your LED house is ready. Making a dance pad at your own house is not a rocket science and it’s one of the best engineering activity that you can do this Christmas. Dance and Dance and Dance away with every Christmas Carol. Fold the cardboard in such a way so that one part is larger than that of other part. Stick the aluminum foil to the larger part or jutting out part of the card. Attach shining paper to the extra part of the card. Take a toilet paper roll and cover it up with a aluminum paper and stick it to the inner flap of the cardboard as shown in the figure. Connect one end of the alligator clip to the battery and the other end to the aluminum strip on the cardboard. Take the other alligator clip and connect it to the light bulb or buzzer. Connect the other end to the toilet roll. When the top flap is pressed down, the circuit is complete. The bulb lights up or the buzzer sounds. Decorate the dance pad and tap away to glory. 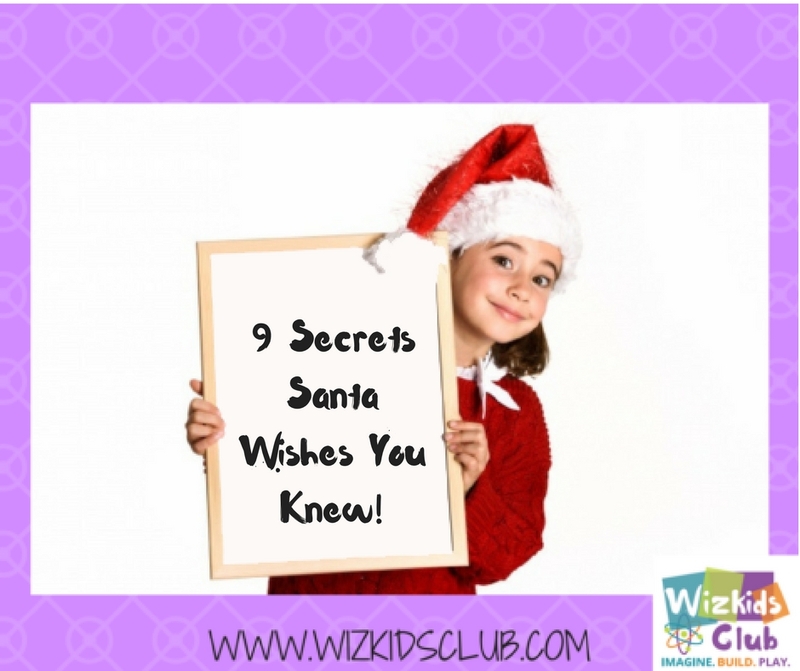 9 Secrets Santa Wishes You Knew! There’s not a person on earth who doesn’t love holidays. In addition to days off from work and school it is a time filled with festivity, warmth and holiday spirit. With the approach of December, the magic bells begin to ring and there is a dash of red in every street. What if Santa came and told you 9 Secrets…secrets and truth about the future? Something you could do today to make tomorrow amazing! That would be wonderful … right? Here are some amazing secrets that Santa wished you knew: SECRET’S ABOUT STEM EDUCATION- The education for the future. STEM allows children to get ready and qualified for high paying super cool jobs that are on the rise! Our children are taught 21st century skills such as innovation, collaboration, communication, and technology integration. The best jobs in the future would be in Science, Technology, Engineering and Medical. There are already incredible breakthroughs in the respective fields and will definitely be more with time as your children get into it. You would want to inspire your little ones to become confident leaders. STEM is motivational and kids get to learn from their role models. If introduced at an early age, it allows them to imbibe leadership skills. The earlier they start, the sooner they will learn them and will have more time to polish the skills. With more and more advancements in STEM, global leadership is changing and as our children grow up, they can lead us in the fields. The best thing about STEM is the way it is taught to the students and children. 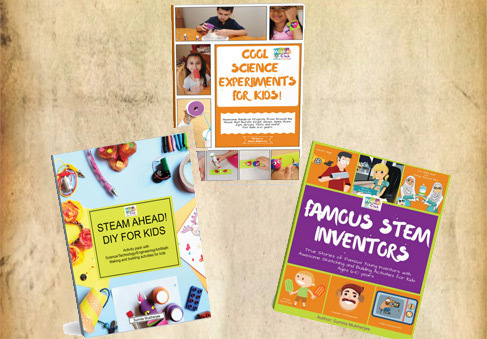 Kids conduct experiments, build structures, and flex their curiosity and questioning muscles. Programs are not only uniquely designed to meet the intellectual needs of the respective ages of the students, but are also thoroughly studied to ensure that the children genuinely enjoy the learning process. And the more the student enjoys, the more they learn. STEM allows children to explore and learn more about the world. Ranging from video game creation to deep-sea exploration to medicine to the vast field of engineering. STEM has helped us in real life and they can understand how it can help the human race in the long run. Holidays are great fun for the kids and after working hard during the year. They need some break to relax and unwind and play in the snow. But you can only play so much before you start getting bored. STEM classes should do the trick and since its fun to do, they don’t need to worry about things getting boring or studying again. With STEM education, they will get to interact and socialize with like-minded children and let their curiosity flow. They will learn teamwork and team play and that will be beneficial in growing friendships and buddies. Perhaps the most important skill the children can learn is problem solving. They will be presented with multiple challenges in their STEM related coursework. They will then cultivate skills of problem solving to overcome these obstacles and come out at the other end successful. Even if they do not end up working in a STEM related field, problem solving a skill that will help them no matter which field they are in professionally. As information begins to get incredibly easy to get, so does the risk of false information being circulated also increases. It is imperative for a person to cultivate a sense of judgment that can help them identify these false claims and uncover the real truth. Critical thinking is the objective analysis of facts to form an unbiased, rational, and skeptical judgment. It is also a very useful tool in STEM and something the previous skill relies on. STEM follows an organized process that leads to strong beliefs. Critical thinking teaches us to be analytic and ask questions. And, through these questions, we can form sound judgments that lead to innovative solutions. From the knowledge they gain from the STEM education, they will have what the real world needs. However, most of the children who are enrolled in the STEM program study further in the field and make careers in these fields. Science and Tech along with Engineering and Medical fields have always been the most innovative fields. Notwithstanding, there is always something new happening each day and there is always need of more qualified personnel to work in these fields. With STEM education, their future is secure as there will always be need of them in the present and the future. Even if the job doesn’t exist, in a few years when the child graduates, there will be a huge demand in that relevant job. Author SUMITA MUKHERJEEPosted on November 20, 2017 November 21, 2017 Categories UncategorizedTags advice, counselling, creativity, education, holidays, kids, learning, Problem-solving, retention, Santa, STEAM, STEM, studentLeave a comment on 9 Secrets Santa Wishes You Knew!